The new prime minister of Australia, Tony Abbott, promises to implement various changes in the country, many of which will have a critical impact on the immigration portfolio. All Australia migration agents should be aware of and make sure they are abreast with these changes. 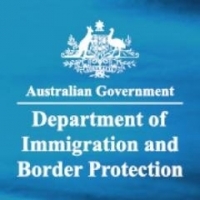 The DIAC (Department of Immigration And Citizenship) has been changed to Department of Immigration and Border Protection (DIBP). The DIBP has announced that its jurisdiction is being amended in a few areas. AMEP (Adult Migrant English Program) is no longer under the DIBP administration. It will be under the Department of Industry that was established on 18th September. The function of AMEP is to provide eligible humanitarian entrants and migrants with free English language courses. It is a wonderful way for people who recently migrated to Australia to meet people and familiarize themselves with the culture and customs of Down Under. In the same vein, the Department of Industry deals with legislation surrounding vocational education and skills assessments for people entering Australia on immigration visas to search for jobs. The DIBP explained that as one of the responsibilities of Department of Industry, AMEP will complement the rising focus of the role English language skills play in preparing immigrants to seek employment. Apart from this, the DIBP will no longer perform multicultural affairs and settlement functions. Department of Social Services will be taking care of the following programs: Complex Case Support, Humanitarian Settlement Services, the Settlement Grants Program, the Diversity and Social Cohesion Program, Multicultural Arts and Festivals Grants and the Building Multicultural Communities Program. However, the DIBP will keep overseeing arrangements for people entering, living in and leaving the country. Its main areas of operation are announced as: immigration control, non-citizens, ethnic affairs and customs, border control and border citizenship other than inspection and quarantine. Lastly, the DIBP has vowed to play a role in Operation Sovereign Borders and other programs which aim to oversee Australia's borders and put a stop to people smuggling once and for all. Though it may take a while for these changes to take effect, the DIBP said the transition is presently underway, and that it believes it will take ‘some months’ to finish.